Place of Death: Honolulu, Hawaii, U.S. 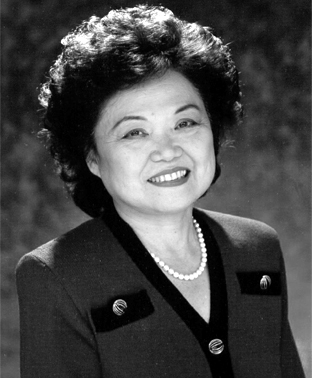 Patsy Mink was an American lawyer and politician. A Democrat, she served as Member of the U.S. House of Representatives from Hawaii, from January 3, 1965 to January 3, 1977, and again from September 22, 1990 to September 28, 2002. She was the first non-white congresswoman. She was also a Secretary of the House Democratic Caucus, from January 3, 1975 to January 3, 1977, and Assistant Secretary of State for Oceans and International Environmental and Scientific Affairs, from March 28, 1977 to May 1, 1978. She was a candidate for the Democratic Party’s nomination for President of the United States in 1972. Patsy was the daughter of Mitama (Tateyama) and Suematsu Takemoto. Her parents were both born in Hawaii, both of them to Japanese parents. She was married to hydrologist John Mink, with whom she had a daughter. Patsy’s paternal grandparents were Yakichi Takemoto and Shumu. Patsy’s maternal grandparents were Gojiro Tateyama and Tsuru Wakashige. In 1972, Shirley Chisholm and Patsy and were the second and third women to run for a major American political party’s presidential nomination (Margaret Chase Smith, who ran for the Republican nomination in 1964, was the first).